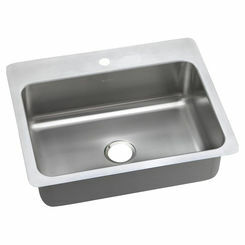 The Elkay ECUFS2915ACH Single Bowl Copper Skirted Kitchen Sink. 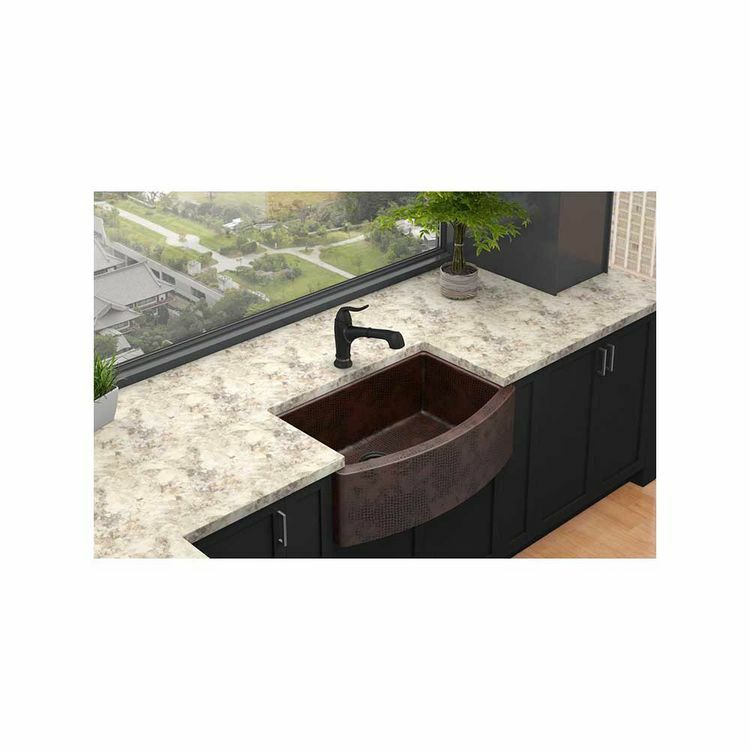 This Copper Skirted Kitchen sink is rectangular-shaped and is designed for an apron front undermount installation. This Elkay ECUFS2915ACH is from the special Harmony collection and has a beautiful handcrafted bowl of elegant design. 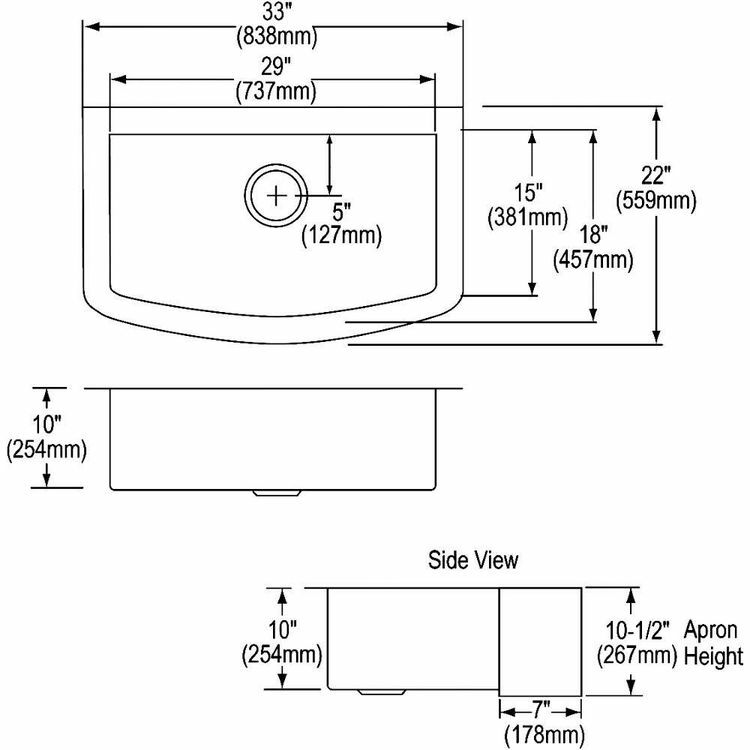 The overall dimensions of the sink are 33" x 22" x 10". 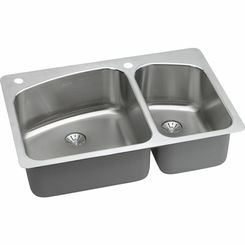 The sink is furnished without faucet holes. 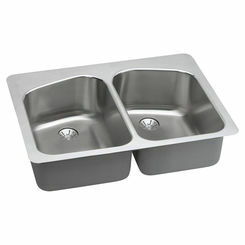 It has a 3-1/2" drain hole located at the center of the sink (refer to the specification). 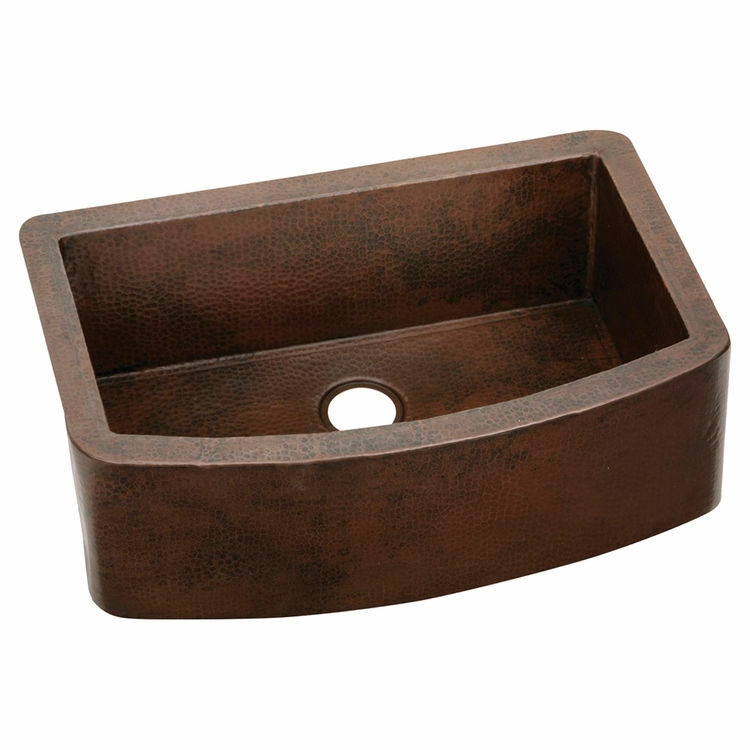 The sink has an antique hammered finish and is constructed of a high-quality #16 (1.6mm) gauge genuine, uncoated copper that will continue to age and is reliable for heavy-duty work and long-lasting performance. The underside of the sink has special absorbing pads to dampen sound. 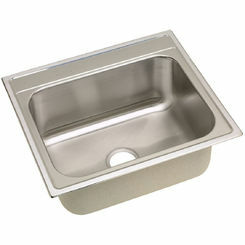 The Elkay ECUFS2915ACH Single Bowl Copper Skirted Kitchen Sink complies with ANSI/IAPMO IGC 194. It has a limited lifetime warranty from the date of purchase. All Elkay products are made in the USA. Shipping Dimensions 40.0" x 29.0" x 15.0"
Shipping Dimensional Weight 98.66 lbs. 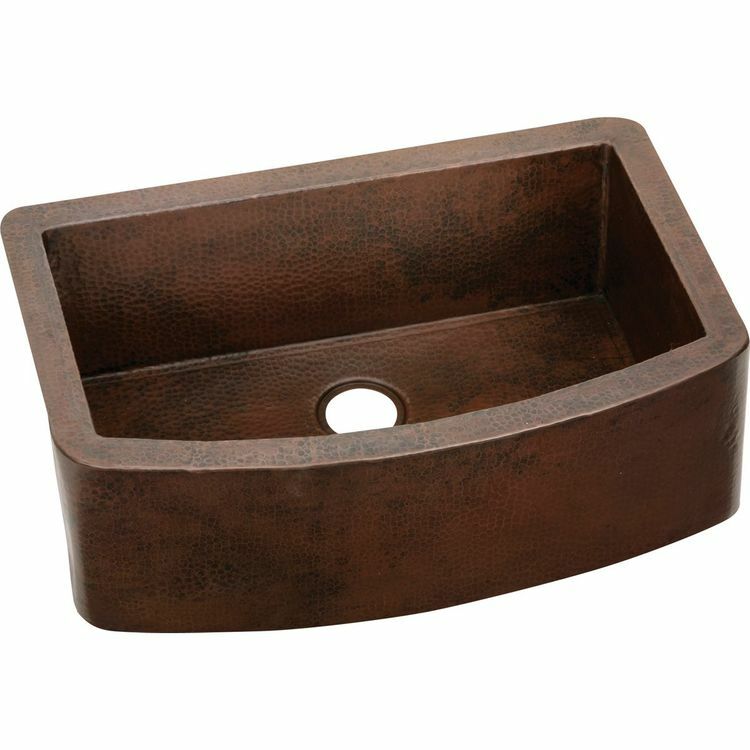 ANTIQUE HAMMERED COPPER: Hammered finish is handcrafted, making each sink unique and adding character to dcor; attractive patina develops with time.